What's the Best Tax Prep Software? What’s the Best Tax Prep Software? For those that aren’t aware, TurboTax changed their base price from $44.95 to $59.95 and they also instituted a $9.95 fee for each additional return that you prepare with it. On the brighter side, they decided to throw in one free e-filing this year, which helps to offset the price increase a bit. Nonetheless, citizens of the internet revolted and trashed their rating on Amazon. The end result was hundreds of 1-star ratings. Intuit finally relented and dropped the $9.95 fee for each additional return. While all three offer both free (for simple returns) and paid versions, there are also a number of lesser known free options (again, for very simple returns) available through the IRS’ free file program. Which tax prep software do you like best? Assuming that you use tax prep software, what’s your favorite, and why? If you don’t use tax prep software, how do you prepare your taxes? By hand? Or do you enlist professional help? Oh, and while we’re on the subject of financial software, Quicken fans should be sure to check out the Quicken 2009 discounts that I wrote about previously. I remained thoroughly impressed with the Federal version of Turbo Tax through to the end of the (in my case, e-filing) process. It explained things well and as best I could tell calculated everything correctly. It slightly increased my refund by giving me better information than TaxCut did last year about the extent to which my state auto license tab fees were deductible. The state version of Turbo Tax (MN, in my case)…not so much. Granted, my state is quickly going to the dogs, and among the signs is a tax code that went from simple and logical to dismally stupid, rivaling the CA returns I had to do while in grad school. The forms and instructions are now daft. I don’t know if that’s an excuse for TurboTax basically copying those instructions verbatim into electronic form, though. Part of what I pay for in a tax program’s interview is to translate those questions into English for me. (An egregious example question from the interview: “You claimed special bonus depreciation on items on your federal tax return. Would you like to limit special depreciation allowance for all activities by suspended passive and at-risk carryforwards?” I love that TurboTax gives me the option, TaxCut likely wouldn’t…but…huh? Talk about tax preparer geek-speak!) I also found a few (typo-like) errors, one serious enough for me to report (it directed folks to the wrong line on a prior-year form to get a needed amount…and was not fixed a week later) – this one month before the filing deadline, when I’d like to hope things had been vetted carefully. Put bluntly, all the state version did for me was save me having to enter some numbers, by transferring them for me from my Federal form. It would have been just as easy to fill out the paper form myself, short of that. I haven’t yet seen this year’s TaxCut MN state, but I have access to it and will try to compare; last year’s TaxCut MN state was definitely stronger than this year’s TurboTax MN state offering. All told, though, I still plan to plunk down a bit of extra moolah for TurboTax next year, unless the pricing structure of the competitors changes markedly. Well, golly. I want to follow up here for anyone still considering which direction to go with tax preparation (it’s getting late, though, folks!). First, either I was half-asleep when I ran through it the first time (possible, I’ve a one-year-old) or Bob saw to it that the issue I mentioned above (about whether to enter all or part of things like property taxes and mortgage interest) was fixed…but the updated version I’m currently running makes it clear as day what to do! If that’s Bob’s work, it’s an impressive example of active quality improvement! (If it’s my failing…it shows you can’t trust just any moron who posts on the internet.) The only remaining fuzziness involves a question about whether the amount you are entering matches that on your 1098: I could see someone checking yes for that box when they shouldn’t. More broadly, Turbo Tax is giving me much better and more concrete advice concerning rental property improvements (asset class selection and expensing vs. depreciating). The helpfiles are better, the questions better worded, and the examples more expansive than those in TaxCut – and this in the Deluxe version, which ostensibly doesn’t help you much with rental property stuff. It leaves me curious what the Premier version actually does better or differently, tough. I’m wrapping things up now and will comment again if I find anything significant to say about the accuracy of the result or the e-filing process…but at this point I’m finding Turbo Tax very well worth the slightly higher cost, when compared against what used to be called TaxCut (now H&R Block something-or-other…guess they are trying to emulate Prince…er…the artist formerly known as the artist formerly known as Prince). Robert R… Depreciation conversion is not supported in any version, so stick with the TurboTax version you have. TurboTax will tell you when you need to enter 100% or when you’ll need to enter the personal portion on Sch A. Just follow what the interview tells you. The Split and Forms views are available in the CD-based versions of TurboTax. As you found out, the split view is accessed by clicking on the Show Form button/link at bottom left (when it’s available). Your acknowledgment that TurboTax is much richer and refined in its guidance and clarity are points often overlooked by taxpayers looking for a tax software program. Thanks for the feedback and making the switch. I’m trying to make the switch from TaxCut to Turbo Tax this year. Having used TaxCut for four years, last year I found several errors in TaxCut’s calculations, some the result of poorly worded questions, others just bald errors (most were around a rare and complicated situation, though: overcontribution to and subsequent distribution of the excess from an HSA). instead in times of frustration (with both TaxCut and Turbo Tax). Bruce… I appreciate the update. It’s unfortunate that the broker’s data wasn’t cleaner. That part is beyond our control (although we do flag transactions with incomplete information like cost and purchase date). As others should know, TurboTax uses an industry-wide import/export specification known as Open Financial Exchange (OFX). This is in industry standard, not a TurboTax specific one. By using this specification, we can support any broker who also supports this OFX standard. We write our code once and it works for any financial institution that adopts OFX. Previously I mentioned problems using Turbo Tax. Those problems all came from the getting the investment tax returns from the financial firm. Tax exempt dividends were listed as interest instead of dividends. Thus I could not separate what was tax exempt for fed only and what for fed and state. State tax deductions for disability insurance and unemployment insurance were given a different name (code?) from what Turbo tax recognized as to apply to a tax exemption. Investment sales did not include the date of buying and the cost, even though the financial institution has that information. This is no different than what is provided by them in your 1099-B, but when you do it automatically you don’t see the entry. I’m sure Turbo Tax would flag that when you do the alerts, but before that I ended up with the total sale as income, not just the profits. Once I deleted these entries and entered them manually in the right location I discovered how the state tax refund was handled differently. I had said it was using a different worksheet. It excluded the refund to tax paid after 12/31/2008 from income. This same amount, though, was excluded from the tax deduction on Schedule A. Thus the final taxable amount was exactly the same as including that portion of the refund. There may be other consequences, say for next year, but none for this year. Thus, downloading the data from your financial institution may cause more headaches than it is worth, depending on the type of investments, the financial institution, etc. Thus the problems may not be Turbo Tax’s fault. The only annoyance is having to enter the tax exempt data twice: once for the amount that is fed exempt only and once for the part that is fed and state exempt. Turbo Tax does tell you that this needs to be done. Bruce… You are correct and I am somewhat inconsistent. Let me clarify. In almost all cases, the specific tax treatment of div/int is normally identified in the federal program. There may be a few states that have such unique rules for div/int that int those few states TurboTax will ask about this information at the state level. Thanks for a quick reply again, on Sunday. I only said that about the state level because you had written: “As for the specific handling of dividends for state purposes, the taxable status of them is usually handled at the state level if the nature of them is unique.” Maybe I misinterpreted that. Bruce… We support OFX as the standard for downloading transactions from financial institutions. This is an industry-wide standard and it sounds like your financial institution is not writing out this file correctly. By the way, I cannot think of any situation where you need to modify dividends/interest at the state level. This should be done at the federal level. 1. A possible reason I found Turbo Tax to be slow starting is that if I remember correctly it wanted to start some processes at startup, which I disallowed via WinPatrol. There is no reason to have a tax program running something all the time. 2. I’m sure Turbo tax worksheets are approved, but Publications 17 and 525 and the 1040 instructions referred to 2 possible worksheets, and the one used by Turbo Tax was not one of them. I could not find the reasoning for some of the preliminary numbers used before starting the worksheet. It seemed to be a determining a portion of the total refund that was applicable. 3. The problems with the dividends seems to be related to downloading the numbers from my financial institution. I found tax exempt funds with both the regular dividends and tax exempt dividends. Not all were with the regular dividends, they showed the dividends were not included in the total, and I could exclude US obligations, which is not appropriate. Under tax exempt dividends, it seemed that I would have to enter them twice for the portion that was tax exempt for the federal only and for the portion that was tax exempt for the state and federal. It could have used the same method used for excluding US obligations, but didn’t. Thus, downloading it didn’t work well for the tax exempt portion. I don’t know whether it is the way the institution codes it or it is how Turbo Tax handles it. It would have been better to do it manually. There was no capability to modify these numbers at the state level. It did not show the interest and dividends, just capital gains. Arty… Sorry I overlooked the easiest of questions. The answer is No, you will not need an accountant unless you have a very complex return that has something like lots of state returns, lots of rental properties, or you just don’t have the appetite to pay attention to details. While TurboTax can do these returns, the risk of you missing something is real. That’s when a CPA is called for. The vast majority of Americans would have what we consider to be very simple returns (even though they may believe otherwise). Bob, thks for your reply on my 2nd question. could you elaborate on the 2nd to last of the questions? Arty… If you’re using the TurboTax Free Edition, state costs $27.95. As you may know, prices normally go up around the last 2 weeks of the tax filing season. For those customers who have already started a return, we always send them an email encouraging them to finish their return prior to the price increase (this again shows that we do try to be ethical and transparent in everything we do). Other than this customary price change, we do not disclose future price increases/decreases– primarily for competitive reasons. Arty… Thanks for giving me an opportunity to respond. There is much misinformation out there and one of my jobs is to ensure factual errors are pointed out. You and others can make your own judgments/conclusions. By the way, my response here is cut from somewhere else (??). So here it is. I do take exception to suggestions that the fees to upgrade are not adequately disclosed. In all cases, the user MUST agree to upgrade before TurboTax does any upgrade. Furthermore, the cost are always clearly disclosed on the same page. In fact, in almost all cases the price is in bold. Furthermore, if the Free version does not support a particular form or schedule, TurboTax gives you the choice of TurboTax Basic or the product that is more appropriate. Again, you have the option to choose the one best for you. Listed below are links to illustrate the upgrade screens one would see in the TurboTax product. I wish I could post the screen shots here, but I don’t think that functionality exists. http://www.screencast.com/t/YmIxYTM2MTEt – This screen shows the upgrade benefits of going from Free to Basic. http://www.screencast.com/t/ZjA0ZjAwMmMt – This is another screen that shows the benefits of Basic. Notice that the price is clearly disclosed (in bold) and the option buttons clearly labeled. http://www.screencast.com/t/MDI0N2M1Y – If Free doesn’t cover your situation, TurboTax gives you the option of Basic or the product most appropriate. Notice that we give you the least cost option as well as the one most appropriate. There is no hard sell to push you into the higher priced product. http://www.screencast.com/t/ODg4NDNhO – Same situation, but this screen shot shows how Deluxe will help you maximize your deductions. Again, the price to upgrade is bolded and the option buttons clearly labeled. I hope these screen shots are sufficient for you to reach your own conclusion. …cont. also will your state filing be decreased in the near future, or will they be going up from $30.00? also, by using a site like yours, will one still need an accountant at all or will this suffice? I have done some research on what sources to use: TT, Taxcut, Taxact, etc. I have read many bad reviews on some other sites when it comes to TT not fulfilling their promise on the free version. They state that the Turbo tax site is deceptive because they state the federal e-file will be for free than they charge you at the very end. This is after one has opted out of the upgrade and pushed the ‘no thanks’ button. I understand your answer will be ‘biased’, however please explain how this could be possible? (pertaining to some possible deceptions that one ends up paying for the service). Im looking to using your site, (ive read some pretty good reviews here as well), but want to use the free service now since I’ve been unemployed and just started working. I hope to use your purchased services next yr. for my business but am not sure. please advice, and we are appreciative of your answers. 1. Performance is very subjective. While some may have slow performance (as you did), for the most part this has not been an issue with the majority of our customers. 2. Our worksheet for state refunds may not mirror the IRS worksheet, but the advantage is that it is accurate in all situations. I can almost guarantee you that others’ worksheet does not correctly do the calculation in all situations. You could end up paying more than you should by using the others. In fact, the IRS will frequently assess taxpayers in a state refund situation (because even their systems are not always right). We’ll send the IRS worksheet our worksheet and they accept our results. Some of the dividends may not appear where you expect them because they need to be accounted for differently depending on the nature of the dividends (tax free, nominee, capital gains dividends, and some “dvidends are actually interest income, etc.). I am not aware of a single instance where the dividends have not been fully accounted for and certainly don’t know of any case (other than yours) where the dividends disappear. As for the specific handling of dividends for state purposes, the taxable status of them is usually handled at the state level if the nature of them is unique. In other words, some of the normal rules would be applied automatically by TurboTax. Also, don’t get confused with interest income where many states do have specific rules based on the source of the interest income. In those cases, we ask about that immediately after you enter your interest income. The Make Work Pay Credit is always displayed at the end of the deductions area even if you take no deductions. It is hardcoded so that it can’t be skipped. In that section, TurboTax will tell you if you qualified or not. It is also displayed in the Federal Review summary. I used both TaxAct and TurboTax Deluxe this year. I was again satisfied with TaxAct, but TurboTax was very disappointing. Maybe I’d be told to use TT Premier, but if that was needed, Deluxe should tell me it won’t handle my entries properly, rather than just a general recommendation before I start entering data. My experience with Turbo Tax this year has been disappointing. First, it takes a long time to open the program, followed by a long time to open my current tax return. It was also a huge memory hog as I went through filling in the answers. I am using a 2.8 GB dual core PC with XP 2 and plenty of memory. Then is its handling of line 10 of the Federal 1040. This is for state tax refund. It uses a different worksheet than is used in the 1040 instructions. Maybe it is valid to use, but there is nothing that indicates why this worksheet is used while the instructions refer to 2 options. I certainly do not want to file a form using data I cannot prove why I used it. I found that some of my entries for dividends kept disappearing from the summary. Sometimes they were there and sometimes not. This was on the page where you click on ‘update’ from the ‘Your Income’ summary. The next area is the handling of Tax Exempt interest dividends. These were fine for the federal tax, but some of it is taxable and some not for my state tax. It did not provide me with a way to specify that some of it was taxable for the state. Everything was treated as tax-exempt. It did not point out that it was providing me with the Making Work Pay Tax Credit. I did find that it took it, but TaxAct told me about it during the Q&A. Darryl… The output you get is only as good as the quality of the input. One advantage of TurboTax is that by asking you a few questions upfront, it determines which questions to ask. Then at the end, it will again ask you about potential deductions or write-offs you may have missed. Your situation is pretty straightforward and TurboTax Deluxe will easily handle your situation. I used tax prep software in the past, and then a friend suggested using an accountant, and I must admit, received a substantially higher return. I’m a bright guy, and I noticed for the past two years I’ve used him, he is using some form of software, since I bring him all my paperwork, he inputs, asks me a couple of questions about expenses and then prints everything out. Here’s my question, I’m a teacher and do consultant work for a couple of foundations that give me 1099s for filing. We programs would allow me to file? I have used TaxACT but will not use it again. I bought the deluxe plus state download version, which they claimed included a free federal e-file, but when I filed, they charged me for both the federal and state e-file. They are dishonest. Cindy… Since you’ve had a great experience with TurboTax for your personal taxes, seems like using it to do your S Corp makes sense (you would use TurboTax Business). It too is easy to use. If your accountant is just filling in the forms, than it’s time to move onto tax software like TurboTax. Which Tax program would be the best for a very small S Corporation business? We’ve had an accountant file the taxes for the last few years, but he seems really expensive, for such a small business as ours.We fill out his forms with all our numbers and then he files them and has us mail the papers. He doesn’t give us any advice about anything, we only see him once a year and he charges us over $500 to do our taxes. I think we can do this ourselves with the proper software. We’ve used TurboTax in the past for personal taxes and for a sole proprietorship business, and it was easy to use and really had no major problems with it. We use Quickbooks for our accounting. I had mentioned that TurboTax might mention it in the review, but that I caight it before that. I also mentioned that it might be the fault of the financial investment house, but they did provide the cost basis and date acquired for these items (CDs) in the 1099 that I received. I also thought that the Premier edition might do better in the transfer of the tax exempt dividends to the state, but if it does, then the deluxe edition should flag it to let me know. Again, I thought that could be how the financial services firm indicated the tax exempt dividends, but I found no way to override it. And thanks, Bob, for your comments. Bruce… If you follow through to Final Review, TurboTax flags all imported stock transactions that don’t have a cost basis assigned to them. As you may know, not all brokerages provide cost basis information on shares sold. This year I did my federal and state taxes with both TaxAct desktop and TurboTax Deluxe Online. TurboTax has a better quide through and seems to ask more questions, and I could import the data from my financial investment houses. I had one problem with TaxAct and two with TurboTax. The big difference was that one of the TurboTax problems I was not able to correct. The TaxAct problem was that my real estate taxes were not carried over from the federal to the state. It was corrected simply by entering the value in the state form, and then it made all the right uses of it. Both TurboTax problems had to do with the imported data, and it may be that the problem started with the financial investment house. It might also be that these would not have occurred with the Premier edition. The one that I could correct was that when investments were sold, only the sold price and date were reported. Thus, it was capital gains income for the full price of the sale. TurboTax told me nothing about that, even though it might have when I ran the review, but I saw it first. The other TurboTax problem was similar to TaxAct’s problem. Tax exempt dividends were carried to the state as fully exempt. I was not asked to indicate what part of the income was for my state. With US obligations on other dividends, I was not asked, nor saw, how to specify what portion was tax exempt in my state. If they were not imported, that may have happened when I entered the data, as I’ll explain. Being reported fully exempt, that made my taxable income much less than it should have been for the state. I manually entered the tax exempt income, and was given an opportunity to divide it among states. It did not change the federal tax, it also corrected the state tax, but my tax exempt reporting on the federal was double what it should be (imported plus manual). The details only showed the manual reporting, not the imported, for the tax exempt dividends. This made the results unusable for reporting to the IRS. One area that both TaxAct and TurboTax Deluxe have a problem with, and TurboTax is worse in how it is handled, is tax exempt investments as they apply to the state. You have to do the calculations and enter the dollar portions that are taxable and tax exempt. As I remember from a few years ago, TaxCut let you enter either the dollar amount or the percentage. The percentage would be taken directly from info you receive from the investment house. For the dollar amount, you have to calculate it yourself, which is what software is good at. I have used Turbo Tax for years. I like the fact that Bob is here talking about his product. Last year I attempted to use TaxCut due to the price point being at 1/2 Turbo Tax Home and Business. I like a bit of competition. 1. Properly calculate the Form 1065 impacts of some gas wells we own (it did not exclude the first 15% and wanted the capital contribution to be income to me). When I talked to their tech support people the said we’ve never heard of that so it was not ready for a tax return with any complexity. 2. Properly calculate AMT (it asked me to do it by hand outside the software and put the result in). 3. Import data from any 1009s or W-2s properly. I do not work for TurboTax but do like their product. Jason… I always start by recommending TurboTax Deluxe because it can handle virtually any return. While you will get a lot more guidance in the business income area with TurboTax Home & Business (like depreciation, home office deduction, etc. ), you can always upgrade from within Deluxe (and not lose any data) if you subsequently find that you need the extra help and guidance. So again, start with Deluxe and give it a shot. The hardest part is not the tax return preparation, but rather it’s the tracking of your expenses and documents. In the past I have used both TurboTax and TaxCut (the last two years due to “lower” cost), but your responses on this post have begun to sway me back to TurboTax. My wife and I have always had pretty straight-forward returns, two regular jobs and one mortgage. This year however, I did some additional freelance website development work out of our home office. Which version of TurboTax would you recommend for me this year, considering this additional income? Kate… You can certainly use TurboTax Deluxe to handle the situations described. While Deluxe is not designed to extensively support Sch C, it will easily navigate you through what appears straightforward. In the unlikely event you something more focused on Sch C, it’s easy for you to upgrade for the incremental cost. I will need a Schedule C for hobby income; two states (IL and AL), unemployment income and no itemized deductions (no mortgage or medical expenses, etc). Also want to do my mother’s taxes with a lot of annuity income. Is there a program that I can purchase or access that will allow for these requirements? Worked for H&R Block last year and used their software for my own taxes (what a horrendous experience that was) so needless to say I won’t have access to that this year. Has anyone used one of the Big Three programs for Estate and/or Trust returns? Ron… Thanks for the feedback. By the way, our federal e-filing is free (up to a maximum of 5). There are no rebates. While the results between the various tax packages should be the same (at least for basic returns), I can see where some might get the wrong result as you start moving into more complex returns. As you mentioned, TurboTax does provide more guidance in the more complex areas. This is where spending a few bucks more is well worth the dollars. Tax software might be a little tricky to get around for a novice if you want to go back and check various forms to see what was done, but they are getting better for that. He can try it online first for free to see if he can get used to it, even though installing and using a desktop version might be a little different. If he does get the knack and uses some tax software, since he likes to do the taxes, I’d also do it manually on paper. Compare the results, see what was calculated or missed manually or with the software. He still has to enter the proper data in the proper places, so the software can miss input. Thanks Bob for responding to these posts. Wonder why the other companies are not posting? I have used TurboTax, TaxCut and TaxAct each year and they all give different figures, with the same input values. The winner is the one that gives me the best refund, and I do include the costs associated with it. I have notice that TurboTax in the interview will ask more specific questions about my ESPP sales than the others. Most of the time I am going with TurboTax. But sometimes I have gone with TaxCut as a bigger refund. I am glad to see they all are offering free e-file agian. Have not checked out if free or if via-rebate. And yes I hate these mail in rebates, just do not charge us from the start. All in All I do like the feel of TurboTax the best. My question is this: How easy is the software, for someone who is good at taxes but bad at computers? We are considering purchasing software this year for the first time. My husband prepares the taxes and seems to enjoy it (!) However he is not really skilled in the computer – just learned email last year. He gets frustrated with many websites and how hard they can be to navigate. Will he be frustrated with software? Is it best for him to stay with paper? What are the advantages to using software over paper? Thank you so much. I enjoyed everyone’s comments and learned a lot. Art… I have to strongly disagree with the assessment of “It’s ‘canned’ software.” Tax rules and computations are very complicated and complex. (Perhaps that’s why we have over 150 full time tax experts.) There are significant differences between the tax software programs. While they may all perform the same on very basic issues, many will fail you when it comes to anything beyond the very easy stuff. Things that I normally take for granted, like computing the taxable amount of your state tax refund, others just don’t get right. You get cheated, but most consumers would never know that because the rules are too complex for them to realize. It really is unfortunate that many do see all tax programs the same because they are being shortchanged. I also need to comment on the “TurboTax is $$$$”. There have been many mentions of the fact that TurboTax is priced at a premium. Unfortunately, this is more of a perception that reality. Independent reviews have compared the price of TurboTax to others and when you factor in ALL costs, in many cases TurboTax is less expensive. Also, our analysis shows that over the last 4 years, most of our customers have experienced a price increase of only $2. The last point I’ll make on this is that many people compare using our “list price.” Fortunately for consumers, most retailers never charge list price. For example, the list price of TurboTax Deluxe is $59.95. Yet, two major retailers have been selling it for a few dollars less than $45. For true comparisons, I encourage you to evaluate “all in” and actual retail selling prices. Thanks for the opportunity to contribute to the discussion. Over the years I have used Tax Cut, Turbo Tax, CompleteTax, and this year I’ll add Tax Act. VP, TurboTax … steps up to the plate and answers concerns. Because I have purchased each of them at least once I get the “Promo” CD’s in the mail (try then buy) and I purchase the one that gives me the most refund. I’m probably doing something wrong because the numbers from the different software programs never match (a few bucks one way or the other) … I figure it’s like airline fares … nobody’s the same. TurboTax is $$$$$ … Mostly perceived value not unlike Starbucks VS McDonalds coffee … I would stick with TurboTax but they lost me like AT&T lost my phone … kept raising prices. It’s “canned” software for goodness sake ! The IRS imposed the limit of 5 to reduce the risk of fraud. Wow! The last time I used Turbo-Tax e-filing was not even available so I’m kinda behind on all the news. Does anyone know why IRS put a limit of 5 e-filed tax returns on consumer tax prep programs? Is there a limit to the number of paper returns? If not, it would seem the e-file limitation might be counter-productive since e-filing is the better way to go for IRS. It’s interesting to see the comments from Bob Meighan. My father began using Turbo Tax, when the first versions came out in the late 8o’s (?) I long ago figured out the that Turbo Tax had a lot a features that the average person doesn’t take advantage of because the program hides them, like the Split Screen Feature, and finding forms you need without going through the whole interview process. I recommend Turbo Tax to anyone who has a basic return to file. I use ProSeries in my Home Bookkeeping/Tax Business. Ruth… All consumer tax preparation software (like TurboTax) limits you to e-filing a maximum of 5 federal returns. That is the limit imposed on the industry by the IRS. You’ll have to use a professional tax preparation program. For several years I worked with the AARP Income Tax Preparation Program and used their TaxWise program. Since I am taking a break from that volunteer work this year, but still plan to do my return as well as several friends and neighbors I want a program that will allow me to e-file quite a few returns and at the lowest cost. Returns vary in complexity and AGI;s. Suggestions? We happily returned to TaxCut this year after using TaxACT last year. TaxACT worked fine, but the e-file prices start to add up if you have multiple returns to complete. I am a CPA as well, and have used both TaxCut and TurboTax for my personal returns. My preference is to TurboTax for ease of use, however I have found both programs somewhat frustrating when it comes to seeing the actual entry being made on the tax forms, especially supporting forms like the 8283 for non-cash charitable contributions. My view is that unless you have a complicated return (having a home and dependents does not qualify as complicated) and are just interested in preparing the forms, commercial software is the best way to go. If you get more complicated such as rental property, home office deductions, etc., that’s when you might start considering using a CPA to prepare the return. I will say that you will learn a lot more from a knowledgeable CPA on strategies to reduce your income tax liability than you ever will from commercial software. Just make sure that your CPA is qualified to do personal income taxes, as CPAs have different specialties. For instance, my specialty is financial accounting (corporate reporting and the like). I can do my own taxes but I’m not especially qualified to do taxes for others. I can research issues and complete my return in a knowledgeable way, but I certainly do not keep up with tax developments like tax CPAs do. Ask questions about their background, how long they’ve been doing tax work, and any experience with a specific tax issue you might have. And absolutely don’t go to an H&R Block, Jackson Hewitt, or the like! Chances are those folks aren’t experienced enough to handle anything more than the simplest of returns, and if you’re return is that simple you’ll do better with commercial software anyway. I use the fair tax plan where I keep all my pay check…. oh wait. Forgot I use TurboTax I get a good discount through USAA. I’m really impressed with you responses and willingness to answer questions posted here. Thanks! Personally, I have filed paper returns myself for years, went to Jackson Hewitt once and vowed never again to pay someone else to file my taxes. I have used TaxACT ever since and recommended it to my family. TaxACT has been a much better value than TurboTax for me. I’ve used TurboTax for years, and my returns are pretty complicated. Their interview format is very good, though sometimes you have to dig into the form itself to enter everything you need. To balance the anecdotal evidence from the CPA’s . . . I have a friend whose CPA totally messed up her estimated taxes for 2007, resulting in a huge penalty. For 2008 I suggested she follow what TurboTax said to do: Just make sure your 2008 estimated payments are at least as much as your 2007 liability. I confirmed that with several tax experts, who all agreed that was correct. Interestingly, her accountant never mentioned that option to her. This year I’ll be helping her with her taxes using TurboTax. ebmartin… For as long as I can remember, TurboTax has enabled you to compare joint vs. separate filing on the What-if Worksheet (select Forms / Open a Form and then scroll almost to the bottom). Not only can you do this analysis, but you can also compare multiple scenarios and multi-year situations side-by-side. For what it’s worth, it’s not often that you find separate filing is advantageous to joint filing. I used to use Turbotax up until a couple years ago but my taxes became too much to handle with home sales, stock option sales, foreign adoption etc so had to hire a professional. The one thing that always frustrated me about TurboTax was the fact that it did not easily allow comparisons between married filing jointly versus married filing separately. As a result, I had to do my taxes 3 separate times to see which worked best. I’m ready to tackle my taxes myself again this year and am wondering if TurboTax or any of the other programs have improved to allow comparisons between the filing options (separate vs joint). Does anyone know? I think the ugly truth most accountants don’t want people to know is that most of us don’t have tax returns that are all that complicated. I know countless people who swear to me that the hundreds of bucks they pay their accountant to prepare their returns saves them money, but their tax returns are not much different than mine. If your situation isn’t terribly complicated (and, no, owning a home and having itemizing doesn’t constitute a complicated return) the programs are just fine. I know plenty of CPAs and many frankly are using just pro series versions of these same programs behind the scenes. I agree with the notion that an accountant can help someone devise and implement a tax minimization strategy. But 99% of the world is just having them prepare a tax return. Is it really that hard to read a tax form? As for the online programs, I think TaxAct is a great product. I’ve used TaxCut’s online program for the past few years even though your chart above lists it as PC only. I think they typically market it more as HR Block online, but it’s still the same as the TaxCut you get in the box. I thought they had better value on their basic online service and efiling than Turbo Tax. I was the one who mentioned the double-dipping on benefits, not George. What had happened was that the sec-125 was on the person’s W-2. It was not paid for by the employer, just taken pre-tax but being that they had no idea what it meant, the person also put the amount of insurance premiums on their schedule A, resulting in the “double-dipping”. I don’t why everyone thinks that professional preparation costs so much. Maybe some firms charge high minimums but that is due to the fact that they have to pay the preparer, the reviewer, the secretary and the partner in the process and mark up the cost of e-filing and the pretty binding they package it all with. There are many firms as well as individuals who do prep work at reasonable costs and who are quite knowledgeable. I have to use Schedule E for Oil/Gas Royalties, depreciation, etc. Tax Cut is enigmatic for this. The frustrating thing is it is not for a significant amount so professional preparation is not cost efficient. Is anyone aware which program is proficient at Schedule E in this context? A response would be very helpful. Eric – I guess my thoughts are that the programs are an efficient way to do your taxes, even if your circumstances are a little complicated. and in Kevin’s case above – married with home mortgage interest, that is the sweet spot for these programs. If his return were any easier, he could use the short form with no program. And I don’t think Kevin above is asking for additional advice throughout the year on tax strategies, he just wants his refund and doesn’t want to miss anything major. These programs will do that. WIth that being said, if my tax situation were complicated, with numerous stock transactions, and other business expenses, or if I wanted tax planning advice, I would cetainly recommend an accountant. I have used Taxcut for the past few years, and chiefly use it now because it is cheaper and they make it easy to import previous year’s data. I have in the past used Turbotax and found it to be functionally equivalent. I also used Taxact one year (it was free! )and it did a sufficient job for a relatively simple tax return at the time. I have also used the state versions of the programs, too, but found that there are relatively few changes year over year for most states and I can just repeat what I did in previous years. That way I don’t have to pay for the state versions. I should also note here that my state situation is also more complex than most, I have to file 2 state tax returns because I live in one state and work in another. Anyways, TurboTax is currently worth the money to me. I’m far from a tax expert and this software makes me feel like a tax genius. nickel… One change you did not mention is that TurboTax now includes up to 5 e-filed federal returns at no additional cost (5 is the limit imposed by the IRS). This is great for those who file returns for their children, parents or friends. In the past, each e-filed return cost $17.95. Dan and others… TurboTax’s partners offer exceptional deals to their members. You mention USAA, but others like Costco, Vanguard, State Farm and others heavily discount our products to their members. Eric… I disagree with your suggestion that TurboTax is good only for the simple returns (W-2, interest, dividends). Just by following the TurboTax interview, almost anyone can prepare a return of any complexity… all without the tax jargon found with the tax forms. I do agree with you that a good accountant shines in helping taxpayers plan and devise tax minimization strategies. Tax prep software is great for tax compliance, while accountants should excel at providing advice, guidance, etc. But to pay an accountant simply to prepare your return is a poor use of your money. And I say that as a CPA. @george… I have never seen anyone double dip on health ins premiums. I guess it could happen but in the case when the employer pays the premiums, I’m not even sure how the employee would know what the premiums are. I guess this is the extreme unlikely scenario. All… Since I have a vested interest here, I’ve purposely tried to stick to the facts and leave the opinions/reviews to all of you. One thing I will leave you is this. When comparing tax software, pay close attention to your total cost, including state tax preparation. Don’t be fooled into the lowest sticker price. Also, when the average tax refund is about $2500, determine whether getting the tax software that is going to guarantee you the biggest refund is worth a slight premium of $5 or $10. The call is yours. Good discussion here. If you have any questions, go ahead and post. I’ll try to keep an eye on this thread. I been using TurboTax and its the easiest to use. I been using since 2001 and love it..
No one is trying to scare anyone into going in any one direction, simply giving all of the options. With regard to the programs making it so that you do not need an accountant, read my earlier post regarding these programs being useful only after-the-fact. They do not do anything to prepare you throughout the year, nor do they call to remind you to do certain things in order to be in the best possible tax position. In actuality, Turbo Tax has a fatal flaw, which I have brought to Intuit’s attention in the past that was never resolved. The program is not intelligent enough to ensure that people do not double-dip health insurance, as I have seen people claim it on their Schedule A even though it was deducted through a cafeteria plan via their employers which is a big mistake. The program also doesn’t give any warnings for obvious errors such as misplaced decimal points as I have seen a separate incident in which the program allowed the person to claim over $100,000 in sales taxes instead of $1000 on a return that contained only $50,000 in gross income. All programs are flawed, and even tax professional make mistakes, but real people can provide better assistance and understanding better than a piece of software, and a real person can help prepare someone throughout the year in making decisions based on tax consequences that a piece of software cannot do. If you really want to use an accountant, also use a software program to see how they compare. Then, the following years you may be more comfortable using a program with what you had learned. The programs aren’t foolproof. In some cases you have to know what you are doing, but they do take you on a step by step pass through the questions. kevin – don’t be fooled or scared into using an accountant instead of one of the top tax programs just because you own a house or haven’t itemized. The programs are so simple, they walk you through everything you need to know and do to file a relatively simple tax return. You don’t have to “learn” more about taxes – it is a ridiculouus system to try and learn how everything works and you don’t need to know. These programs make it easy to do your taxes without an accountant. I would definitely recommend going with an accountant in your case. It is perfectly fine and admirable that you are interested in learning about taxes, but this is not the type of thing that you want to undertake with little knowledge or a “learn as you go” mentality. You can certainly take classes to improve your knowledge, and make inquires to your accountant in an effort to become better informed on the subject but the risks are too great for you to do it all on your own. 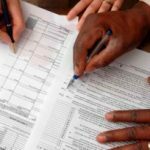 As far as being a more efficient filer, have a look at Get A Jumpstart On Your 2008 Tax Return By Getting Organized Early which has some tips for getting all of your documentation together. Good luck! i have used turbotax in the past, but this year, i am married, and i own a house. since i have very little knowledge about taxes, i am concerned that i will miss some huge amount of money to get back. i have never itemized before, either, and i don’t know if i should hire an accountant to do this for me or take a class or read a book or just go with turbotax. any suggestions on being the most efficient tax filer? A few years ago, Turbo Tax and Tax Cut stopped supporting W95a, which I still used. But Tax Act said they supported it, so I tried it. It was still December, and I saw that it did not work with W95a because it expected a file that was a W95b version. I e-mailed them and they said they’d fix it for the final version for the year. They did. I’ve been a loyal user since then, even getting the paid version. After I got XP, I sometimes still received access to Turbo Tax and Tax Cut regular versions, so I’d try them for comparison. With Turbo Tax and Tax Cut raising their prices so much, I found Tax Act to be almost as easy to use, for some things better, and thus a much better value. The one thing Tax Act lacks is the ability to download investment tax data. I also do my taxes manually in order to better understand what is happening. One curious thing I found associated with some foreign income was that they each handled it differently, using different forms, and getting different results. Because of the free program I received of Turbo Tax, it did not provide the explanationary forms of how it figured these results. I’m glad to see there are other Tax Act users here. I’ve used TurboTax pretty consistently over the past 6-8 years and, overall, been pleased. The only thing I’ve not been happy about is their escalating prices. I’ve tried TaxCut on two separate occasions (most recently last year) and ended up taking advantage of their money-back guarantee and going back to TurboTax. TaxCut has seemed more cumbersome to use and has erred on some things that, were I not a CPA myself, I would not have caught. TurboTax got them right and presented things in a more logical, easier to understand manner. Maybe I need to give TaxACT a try this year. TurboTax Online if State Farm makes it available again this year. For the past several years they’ve offered it to all their customers as a click through in your account. Includes TurboTax Deluxe for free and free federal and state e-filing. We use H&R Block’s “free file” online – it’s free, and we always get our refund back in less than a week. You were eligible last year if you earned less than $54,000 gross. I was really impressed by the program. It allowed me to file everything I needed, including my Schedule C.
I used TurboTax last year and plan to use it again this year. I got tired of paying H&R Block hundreds of dollars for something I could do myself. I’ll probably use Turbo Tax again because it will remember and import all my info from previous years. This cuts down on the time and effort compared to trying a new program. I don’t love Turbotax, but it is easy to use. I’ve used TaxACT for the past four years and will continue to do so. User-friendly, cost-effective. I would also recommend TaxACT. They have a very easy to use interface with a great help section. Also, with their prices, I see them as a clear value leader in the tax preparation space. I’ve been using TaxACT for the last couple of years and really like it. They have a totally free option and then their paid options are much cheaper than TurboTax or H&R Block. I definitely think they are the best value, and I find them to be easy to use. They also have a guranteee that your return is complete and accurate which is great. Being an accountant, Iâ€™ve always taken issue with such products for their lack of advising ability. I do believe that they can be helpful for those who have simple returns such as a W-2 or two, some interest and dividends, but nothing much more complicated. Products such as these are only after-the-fact utilities, which is to say that they only help with the preparation of taxes. They cannot help you to tax plan before the end of the year, nor can they provide you with tips or insight for making tax-conscious decisions during the year in order to get into a better tax position. That being said, I use another of Intuit’s products, ProSeries to prepare my clients’ tax returns as well as my own. I have used TurboTax online for the last couple years. Its great because the website remembers all your information from last year and there is free e-file. I would recommend TurboTax online. Whatever you do, don’t pay full price for the software. There are discounts through a number of referrals and sources; personally I received a significant discount through USAA.